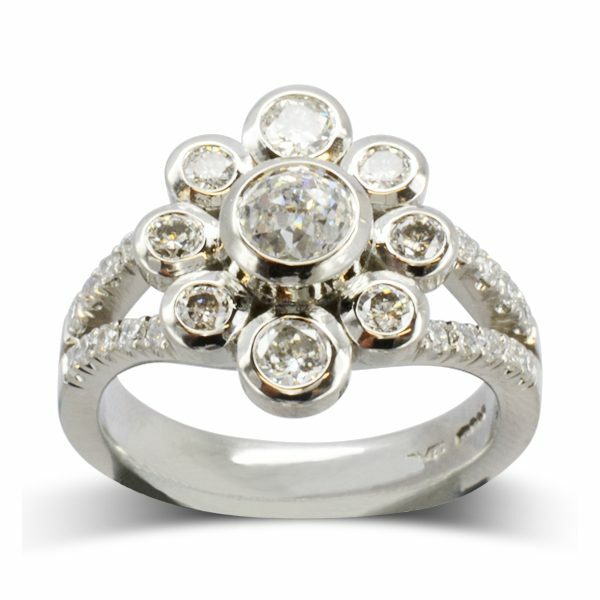 A Bespoke Contemporary Diamond Cluster Ring hand made in our Ditchling workshops. 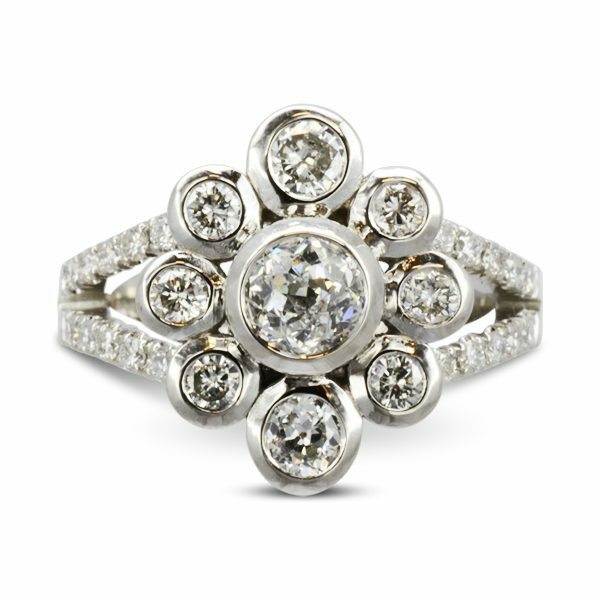 A modern take on a traditional cluster ring this ring is made from old cut diamonds set in rubover settings giving a geometric flower design. 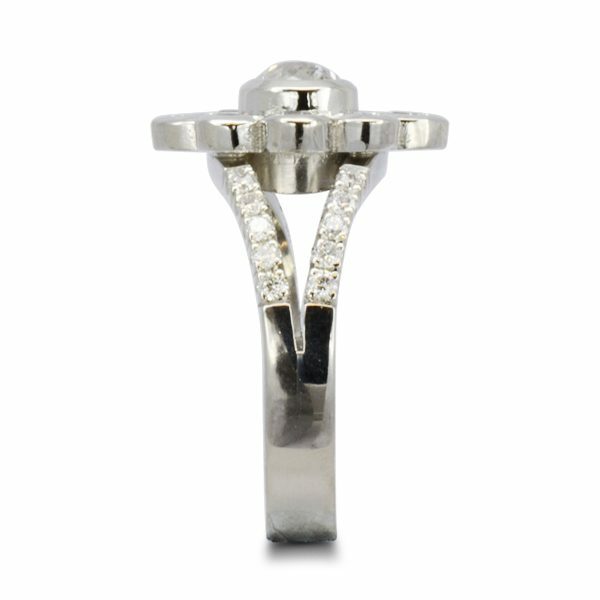 This is placed on a diamond pave set split platinum shank. the perfect dress or engagement ring.